Los Angeles Lakers point guard Lonzo Ball has reportedly decided to part ways with his agent Harrison Gaines, who has been Ball's agent since Ball left UCLA after his freshman season. 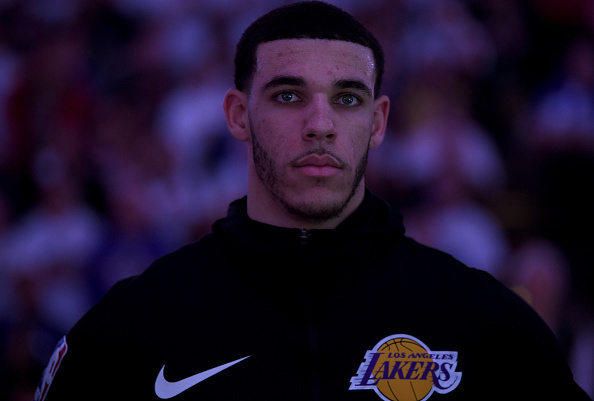 The news comes just weeks after Lonzo fired Big Baller Brand co-founder Alan Foster, after it was revealed that Foster allegedly stole $1.5 million. However, Lonzo told ESPN that Gaines supported him through that situation and the recent decision to cut ties is unrelated to that incident. "Harrison Gaines has been a trusted advisor and close friend for many years," Ball told ESPN in a statement. "He guided my NBA career with integrity and always had my best interests at heart." "Harrison has always had my back and although we will no longer be working together after mutually deciding to part ways; our relationship will always be bigger than basketball," Ball said in the statement. "Lonzo Ball was the first client to sign with me. He has been nothing short of phenomenal and is one of the bright young NBA Stars. I thank him and his family for giving me an opportunity," Gaines told ESPN in a statement. "Mutually, we have decided to part ways. I wish Lonzo great success in the future. As I turn this page, I will continue to work hard for all of my clients." Ball, 21, only appeared in 47 games for the Lakers this season due to an ankle injury, and he'll be held out the rest of the way as he looks to enter his third NBA season with a clean bill of health. He averaged 9.9 points, 5.4 assists and 5.3 rebounds per game this year.